MICHAEL BYERS really loves illustrating the WOW Last Call columns for CBS Watch! 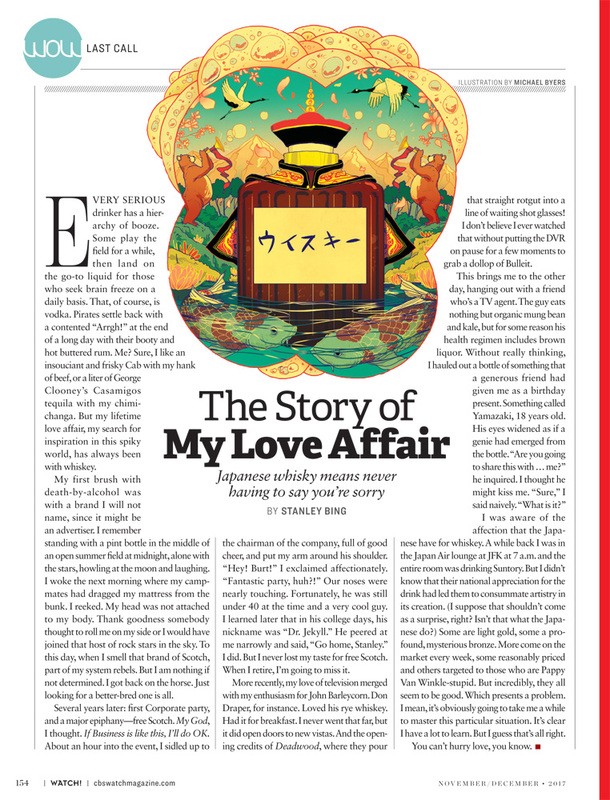 Magazine, the article’s are the best and so much fun to ready – especially for all you boozy lovers out there. 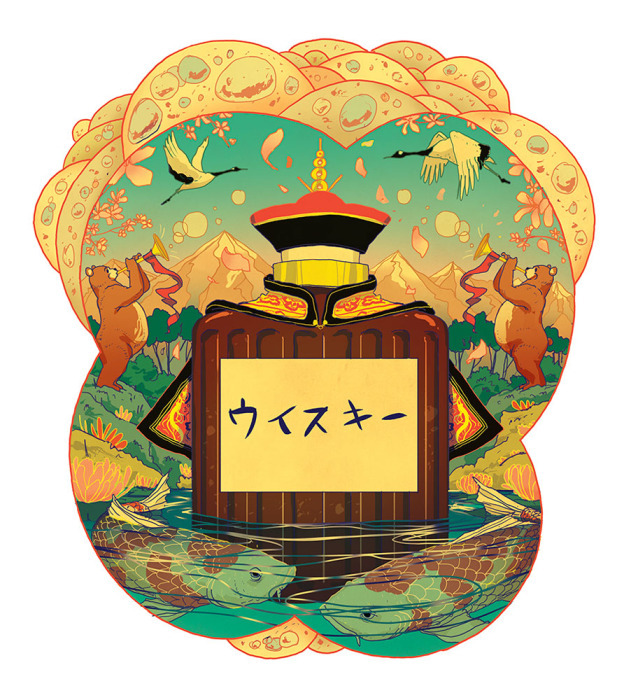 This one called “The Story of My Love Affair: Japanese whisky means never having to say you’re sorry.” The article is about how certain types of whisky convey status; and how it changes over time.